New Horizons is ready for its close-up – again. The pioneering space probe has reached halfways through the Kuiper Belt to reach 2014 MU69, nicknamed “Ultima Thule” (rhymes with “Goonie”). 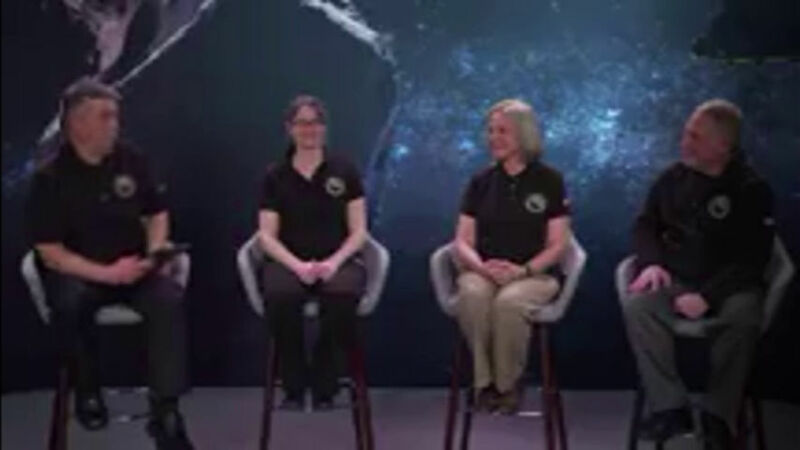 On Friday 1700 UT, in the absence of any online presence for NASA Television, the New Horizons team moved to the JHUAPL YouTube channel to air its half-hour science brief, featuring Allan Stern, Alice Bowman, and Kelsi Singer from the New Horizons research team. First stage ascent camera got a bit fuzzy! Wairoa, New Zealand – Rocket Lab delivered 13 student and research CubeSats into sun-synchronous orbit on 16 Dec 2018. Liftoff was just after 0633 UT as the summer afternoon sun pierced through scattered clouds at Māhia LC-1. The two-stage Electron rocket with Curie kickstage carried the payloads to a circular 500 km × 85° orbit. This mission is Rocket Lab’s fourth orbital launch, the third in 2018, and the second in a little over a month. Rocket Lab has set an ambitious goal of reaching one launch per week in 2019. In November, Electron was proven for commercial flight, and now, Rocket Lab has proven Electron for NASA’s non-commercial payloads. For NASA, the launch is the intersection of two initiatives, the Venture Class Launch Systems (VCLS) program, which provides opportunities for the new generation of smaller rockets, and the Educational Launch of Nanosatellites (ELaNa) program, which expands access to space for CubeSat payloads from schools and universities. The most important aspect of a mission like ELaNa 19 is the sheer amount of talent it generates. Every ELaNa mission represents a team of students and researchers that gain top-to-bottom space development skills. Electron 4 was named “This one’s for Pickering” in honour of William Pickering – a New Zealander who lead the Jet Propulsion Laboratory between 1954 and 1976. Under Pickering, JPL became part of NASA, and developed a series of legendary spacecraft, from Explorer 1 through Voyager 2. In such a busy month for spaceflight, it is easy to lose track of all the firsts. On 3 December, ELaNa payloads participated in the SSO-A mission, where a Falcon 9 from Vandenberg AFB deployed an all micro/nanosat payload to a similar sun-synchronous orbit. On Thursday 13 Dec, in the first NASA VCLS mission, Virgin Galactic’s VSS Unity flew 8 ELaNa payloads past the McDowell Line to the edge of space. With this mission, Electron is the first orbital launcher from the VCLS program to reach orbit. The next Electron launch will be from Māhia in early 2019. Rocket Lab will also complete its Launch Complex 2 at Wallops Island, Virginia during the new year. The race is on for the next great small satellite launcher! Virgin Orbit may well be the next to put a payload in orbit, though Vector-R, Astra Rocket 1, or EOS Firefly Alpha are all still in the running. A launch success and an anomalous but mostly successful booster landing has set the stage for the US return to manned spaceflight. A Falcon 9 rocket carrying 3 tons of scientific experiments and supplies for the International Space Station launched from SLC-40 at Cape Canaveral at 1816 UT on Wednesday, 5 December 2018 – a brilliant point of light over the Atlantic sky just as the honour guard carried President Bush out of Washington National Cathedral. The launch was notable not for the complete success of the launch, which had a momentary launch window planned down to the last second, but for the near miss of the Falcon 9 first stage as it returned to Kennedy Space Center. SpaceX has already managed to make booster recovery routine, which left engineering teams scratching their heads as the hydraulic system that moves the booster’s titanium grid fins failed, causing the massive cylinder of aluminium-lithium to spin nearly out of control during entry and descent. 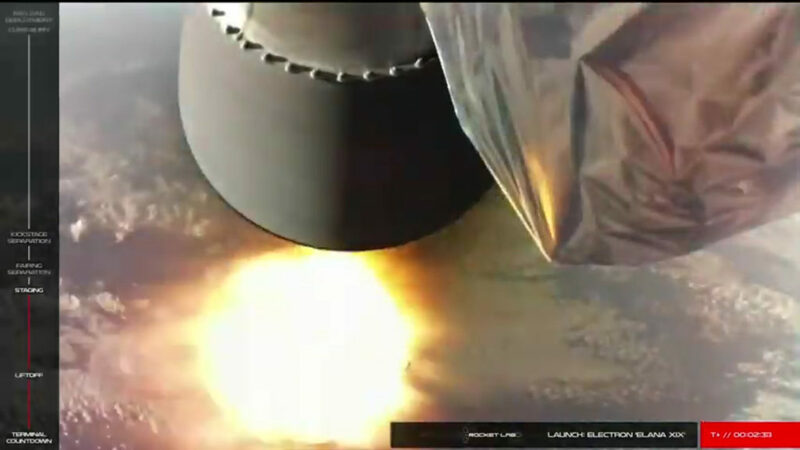 Dramatically, in the final moment before splashdown, the booster’s landing legs popped out as in a normal landing, which seemed to stabilize the erratic motion just as the booster splashed sideways into the waves. SpaceX emphasized that the flight provided an important validation of its autonomous landing system. Without human intervention, the booster flight computer determined that it did not have sufficient flight control to safely land at the Kennedy Space Center recovery pad, and instead ditched at low speed into the Atlantic about 3 km offshore. Conventional wisdom on the water landing of the Falcon 9 first stage is that the rocket is a writeoff. But because the booster landed intact, and despite the many unresolved questions which remain to be investigated, it is not unrealistic to suggest that the booster can still be refurbished. If nothing else, it can be repaired for static display or flight tests. What is certain is that the water landing is not a failure – but rather, a partial success with significant anomalies. Today’s CRS-16 launch is just another triumph of engineering observed during an incredible week of achievement in spaceflight. Last Monday, the InSight geology probe landed on the surface of Mars; On Wednesday, the HySIS earth observing satellite and various small payloads entered polar orbit. This Monday, a Soyuz rocket carried US, Russian, and Canadian astronauts to the International Space Station, while hours later SpaceX delivered their first mission entirely composed of small commercially booked satellites to orbit. Just yesterday, a pair of new geostationary satellites serving India and Korea were lofted by ArianeSpace. The rate of space development has reached a new and hectic pace, even for the individual players. SpaceX was fully prepared to launch both SSO-A from Vandenberg and CRS-16 from Kennedy within 24 hours of each other, which would have tested the very limits of SpaceX’s mission control and personnel management capabilities. Even with the CRS-16 launch delay, there was a significant amount of overnight work due to last-minute integration problems with the food for live rats in the RR-8 experiment. The success of CRS-16 sets the stage for the return of US manned spaceflight. In just a few weeks, the next evolution of the Dragon capsule, the Dragon 2, will launch to the ISS and prove all key systems for a human-rated launch and recovery system. Later in 2019, the first US astronauts from a US spaceport since the end of the Space Shuttle program will arrive at the ISS, almost certainly in a SpaceX Dragon 2 – though NASA’s Commercial Crew Development program also includes the first US-based second source for manned spaceflight. Boeing’s Starliner will also be ready to fly people before the end of 2019. A bumper crop of science for the ISS! A great month for space science will be capped off 15 November with the launch of a new batch of supplies to the International Space Station. An Antares rocket will launch from Mid-America Regional Spaceport LP-0A at 0949 GMT, early in the Virginia Tidewater morning. The 3000 kg cargo includes 12 science experiments, such as a 3D printer that recycles its own plastic, and breakthrough Parkinson’s Disease research – the Michael J. Fox Foundation’s CASIS payload is an improved version of an experiment flown aboard the ISS last year. If space-grown protein crystals can be grown large enough, and in sufficient quality to be imaged at 0.6 nm resolution – that may enough to find attack sites for drugs that could slow or stop the disease. There are also studies about making concrete in space, making nanostructures to filter out carbon dioxide from industrial sources, and an ambitious German experiment that probes the very formation of the solar system using not much more than dust, electricity, and a 100 x 150 mm box! Rounding this out is a Canadian VR experiment that tests how astronauts’ brains influence the sense of orientation, even without any gravity acting on the inner ear.